This is a migrant and a rare visitor to the Philippines. It is easily identified in the field with distinctively shaped black beak that looks like a huge spoon. The Black-faced Spoonbill Platalea minor is a migratory wading bird. It is a long-legged white bird that is named for it’s long black spoon-shaped bill that widens out to a rounded out flattened spoon shape at the tip. Its face is covered in black skin instead of feathers. There are estimated to be less than 2,700 Black-faced Spoonbills found worldwide. They are listed as endangered in the IUCN Red List and are protected in China, Taiwan, North Korea, South Korea and Japan. During the year they travel from their breeding sites in North and South Korea and China to their wintering grounds mainly in Taiwan, Hong Kong, the Chinese mainland and Hainan Island. 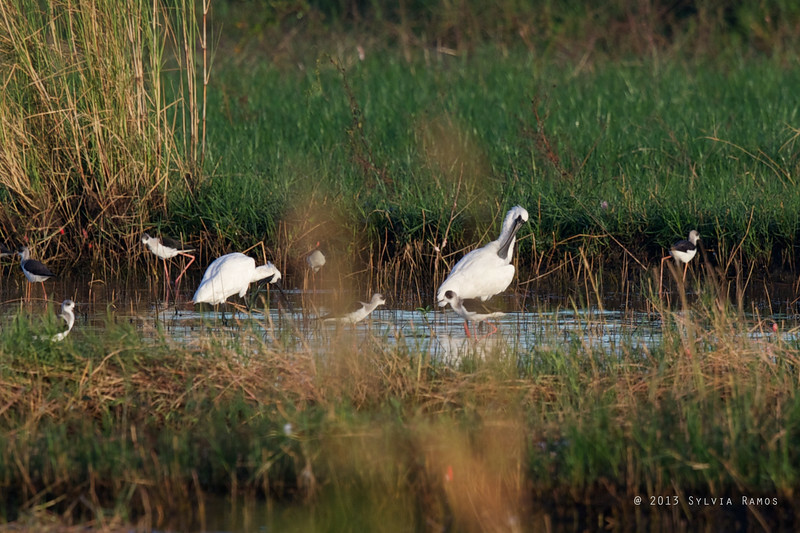 Along the way to their wintering sites, they use key stopover sites in China. WWF Hong Kong reports that only 30 or so pairs are known to breed each year. Occasionally, a few individuals have been found in Thailand, the Philippines, Macau and inland China. The threats to the Black-faced Spoonbill are habitat destruction and pollution from pesticides. Wild Bird Club of the Philippines members Linda Gocon and Brian Ellis spotted two Black-faced Spoonbills in Candaba on 19 December 2013. They were showing a group of expat missionaries the birds of Candaba when they noticed two larger birds mixed in with a faraway flock of smaller Black-winged Stilts. The two birds turned out to be Black-faced Spoonbills. In November, one Black-faced Spoonbill was seen in Olango Island Wildlife Sanctuary in Cebu.